Looking to Buy Premium Smartwaches? Try these Six! If you’re a fan of smart tech and gadgets, and you have big bucks to spend, check out these six smartwatch models. They may break your wallet but are sure to serve your appetite with cool features and sharp looks! 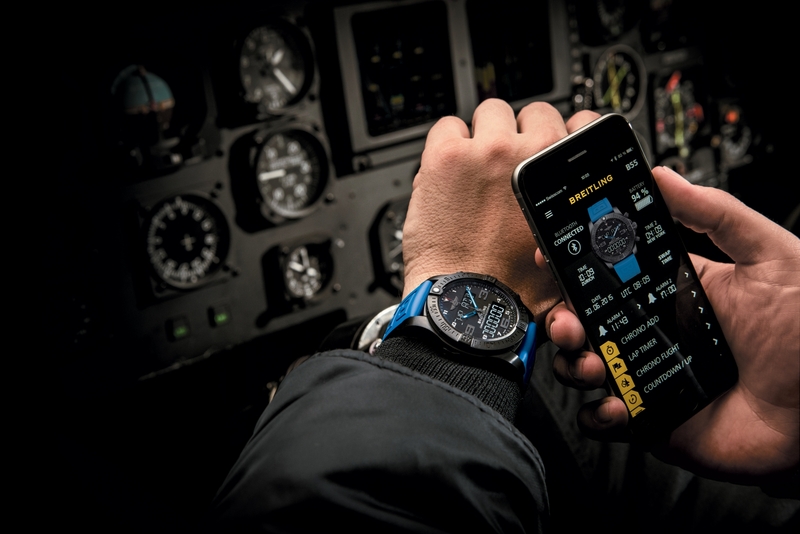 This is a high-end Swiss connected watch specially designed to help pilots with time-zone adjustments and lap timers. It has two basic digital displays to show email, SMS, WhatsApp, calendar and incoming call notifications. Unlike most smartwatches in the market, the Exospace B55 doesn’t run on Android Wear. You can operate it through a Brietling iPhone app that the watch connects to through bluetooth. If you’re into analog looking dials and can afford to spend $8,900, the Exospace B55 can be just the right accessory to wrap around your wrists. The Apple Watch’s best feature is voice activation that allows you to command it just by talking to Siri. To top that off, you can view every notification you get on your iPhone on its small screen. The Gold version of Apple Watch comes for $12,000. Given its personable chassis and user friendliness, it doesn’t look like a bad deal. This watch is more on the exotic side in the looks department but nonetheless elegant. It will draw your attention to your Facebook, Twitter, WhatsApp, text and email notifications. It stands out with a fitness tracker feature that keeps a count of calories burned. This smartwatch can be your companion in sickness and in health(pun intended) for $2,549! TAG Heur has packed the best smart tech features in its Connected watch. It runs on Android Wear platform and an Intel Atom Z34XX. Google voice activation makes interacting with it easier. Most importantly, this watch will let you use your apps in full-screen mode! All of this for just $1,500. This one is an attractive Swiss watch with impeccable potential to live up to your fashion standards. Tech wise, it may disappoint. This watch doesn’t display notifications from your phone like other smartwatches. What it does is tracking your sleep and activities. It estimates the distance you have traveled and monitors your fitness. This luxurious handmade smart watch is up for sale at just $1295. Mondaine Helvetica one is very much like the Fredique Constant Horological watch in functionality, but cheaper. It also lacks GPS and notification beaming features but tracks your sleep patterns and activities just fine. It has an analog face and comes for a thousand bucks. In your opinion, which of these watches has the best value for money? Let us know in the comments below!